Need to download the printable version? It’s here. What's the Start Date of the Mission you want to go on? Same as Parent or Guardian? Do you have a valid US Passport ? US Passport numbers are between 6 and 9 alphanumeric characters. How is your name listed on your passport? ***You MUST apply for a passport ASAP. If you do not have a passport, do you have a registered birth certificate with a raised seal? If you have a scanned copy or digital copy of your insurance card, you can upload it here. Are you allergic to any types of medication, food, animals, etc? Will you be taking any prescription medication with you on the trip? Use the plus sign "+" to add more rows. Do you have any health or other problems which will effect your participation in the mission? Have you previously been on a mission trip? Where you went, when you went, and what you did. Why do you want to go on this mission trip? What gifts and/ or skills do you feel you can contribute on a mission trip? What do you hope to gain from participating in a mission trip? How do you see your role as part of a mission trip team? What fears, if any, do you have about going on a mission trip? In order for your child to participate in an SGK / YS trip you must complete, sign, and return the following statement of consent and release of liability to us. As parent or legal guardian, you remain fully responsible for any legal action which may result from any personal actions taken by your child. I further consent to the conditions stated above on participation in this Mission Trip, including the method of transportation. I hereby waive and release any claim against SGK/YS for any injuries suffered by my child during such trip whether caused by the negligence of the designated supervisor or otherwise. In the event of an injury suffered during the transportation to and from the site, I agree to look solely to the insurance carrier providing insurance on the transporting vehicle for compensation. Medical Emergency Release: In case of medical emergency, I understand that every effort will be made to contact the parents or guardians of the participant. In the event that I cannot be reached, I hereby give permission to the physician selected by the supervising adult or other SGK/YS representative to hospitalize, secure treatment for and to order injection, anesthesia, or surgery for my child. Child: I agree that I am legally responsible for all/any personal actions I take during this trip, and agree to be financially responsible for any/all damages, legal fees, and other costs incurred as a result of my action/behavior. I will follow all the rules and regulations set forth by SGK/YS. Furthermore, I understand and agree that if at any time the trip leaders form the view that my conduct is inappropriate, unsafe and/or detrimental to the group, or if for any other unforeseen reason I must be removed from the group and returned to the United States, any travel plans or financial costs incurred as a result of my being sent home are my responsibility. I am responsible for helping my team to fundraise and will at the very least support my team in sending a minimum of 10 donation letters. I prefer to sign this form electronically on a mobile phone, tablet, or touchscreen device. I prefer to print, sign, and mail this form. I understand that may complete this form online, but that the application will remain incomplete until a printed and signed copy is received. If you select to print, sign and mail the form, a pdf of your completed form will be emailed to you for printing and signing. 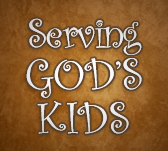 Copyright © 2019 Serving God's Kids. All Rights Reserved.